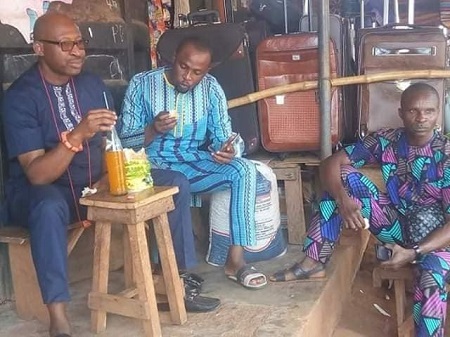 These photos show Hon Patrick Obahiangbon eating bread with a soft drink, ahead of a strategic political meeting at Ehor in Uhunmwode local government area of Edo State. 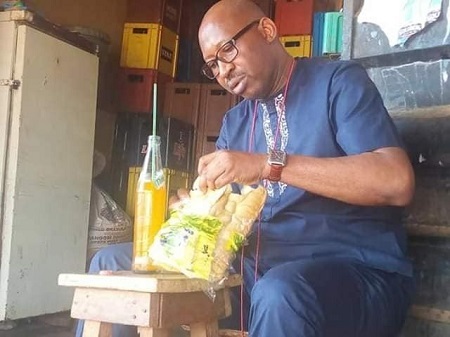 Obahiagbon who is s known for his ambiguous use of words established a cult-following among many Nigerians for his grammatical caricature when engaged in social and political commentary. 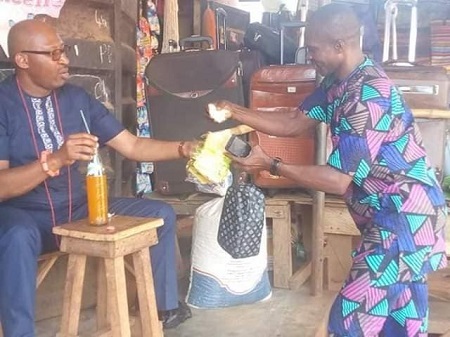 Apart from being a politician, he is also a legal practitioner. He was elected to the House of Representatives in 2007, and served Oredo until his appointment as Chief of Staff to Governor Adams Oshiomole in 2011. 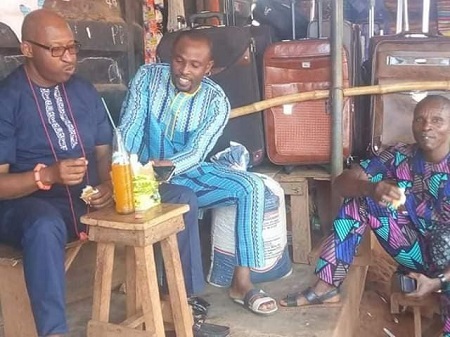 The former house of representatives member recently emerged candidate of the All Progressives Congress (APC) for Edo south senatorial district.